Naming your narrowboat is arguably a right of passage, a momentous occasion, a call to action, a badge of honour… It’s your opportunity to stamp your mark on your vessel and make it truly your own. But how do you choose the right one? Show off your literary loves! Whether it’s your favourite author, the title of a beloved book or an idolised character, it can make the name of your boat both unique and personal to you. One way that you could go is for a classic boating pun. There are usually two types of boat namers and you’ll either love puns or hate them. If you’ve travelled around the waterways, you’ve probably seen one or two ‘Codfathers’, ‘Oh Buoys’ and ‘Narrow Escapes’! Generally speaking, if you own a narrowboat then you’ve probably got a love for nature. A name that demonstrates this passion is perfect, from a rare species of bird to a beloved wildflower. Think ‘Kingfisher’, ‘Dragonfly’, ‘Foxglove’ - the options are endless. Display your nostalgia with pride aboard your canal boat; a classic song or band make for a quirky name. Finding one with a nautical influence gets extra points! Two of the best we’ve seen would be ‘The Madman Across the Water’ or ‘Smoke on the Water’. Go mythical and biblical by picking a name that has a little bit of history behind it. With options like ‘Calliope’, ‘Valkyrie’,‘Hespera’ and, of course, ‘Poseidon’, your boat is bound to make an impact as it travels the land. Another way to use your boat name to show off your sense of humour is by making a subtle pop culture reference. From the classic ‘Cast Away’ to a more modern ‘Honey Badger’, those that get it will get to feel part of an ‘in-joke’. 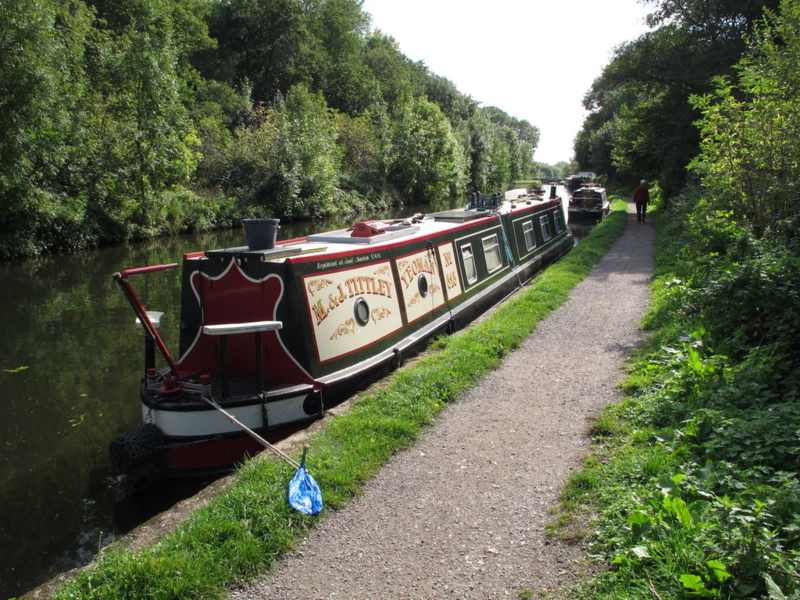 If you are superstitious, some people would say it’s bad luck to name your narrowboat after any of the following: loved ones who are still in the land of the living, your wife or husband, your pets or basically anything you love that you want to stay lucky, healthy and happy. Whatever you choose to name your narrowboat, take a look at our ultimate guide to DIY maintenance to keep your vessel in tip-top condition.